The Front Page 3 widget area in the Imagely Softly features a full-width widget area with a featured image background and one (1) Text widget configured to display a title and paragraph text with HTML button. 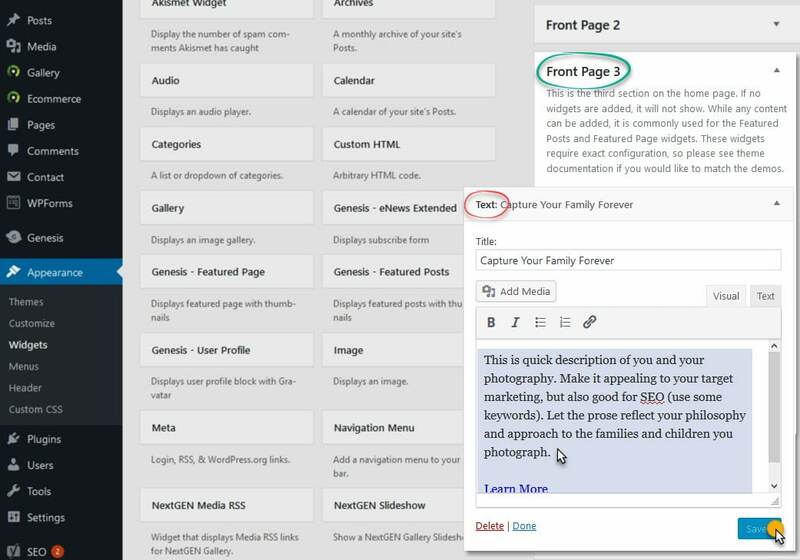 Go to Appearance > Widgets > drag and drop the Text widget into the Front Page 3 widget area. This is quick description of you and your photography. Make it appealing to your target marketing, but also good for SEO (use some keywords). 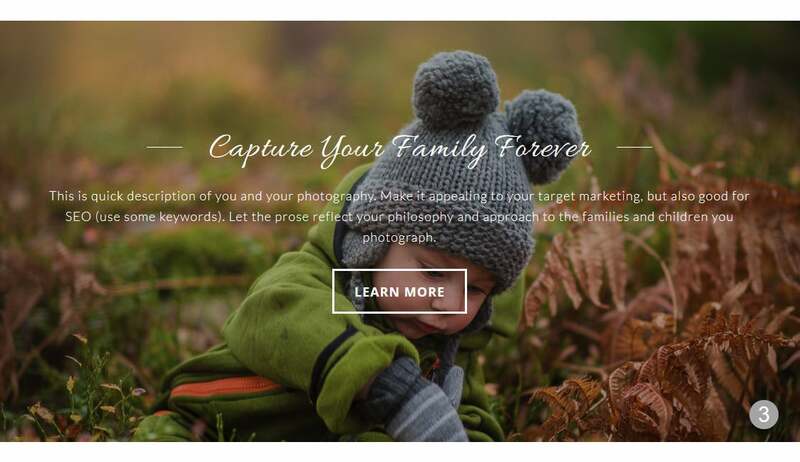 Let the prose reflect your philosophy and approach to the families and children you photograph. 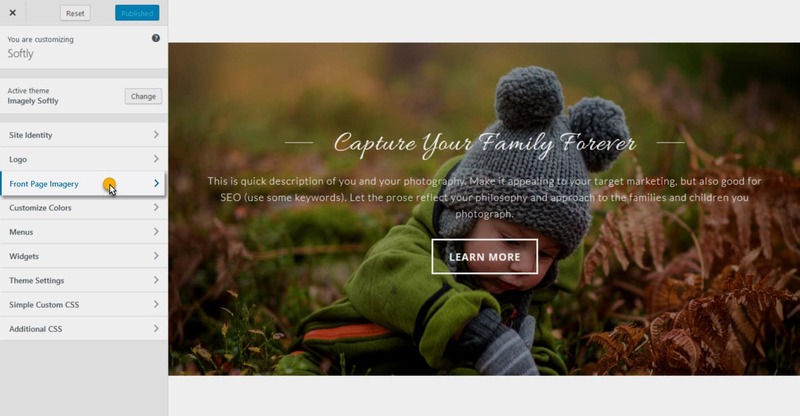 Navigate to Appearance > Customize > Front Page Imagery, below Front Page 3 select 'Change image' and upload or select your image. Don't forget to save changes!